This was co-written with Frederick Peck, a fellow Ph.D. student in mathematics education at the University of Colorado at Boulder and the Freudenthal Institute US. We each have six years of experience teaching Algebra 1 and are engaged in research on how students understand slope and linear functions. Fred shares his research and curriculum at RMEintheClassroom.com. 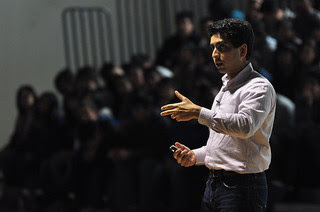 The Answer Sheet has recently been the focus of a lively debate pitting teacher and guest blogger Karim Kai Ani against the Khan Academy's Salman Khan. While Karim's initial post focused mainly on Sal Khan's pedagogical approach, Karim also took issue with the accuracy of Khan Academy videos. As an example, he pointed to the video on slope. Specifically, Karim claimed Sal's definition of slope as "rise over run" was a way to calculate slope, but wasn't, itself, a definition of slope. Rather, Karim argued, slope should be defined as "a rate that describes how two variables change in relation to one another." Sal promptly responded, saying Karim was incorrect, and that "slope actually is defined as change in y over change in x (or rise over run)." To bolster his case Sal referenced Wolfram Mathworld, and he encouraged Valerie Strauss to "seek out an impartial math professor" to help settle the debate. We believe that a better way to settle this would be to consult the published work of experts on slope. Working on her dissertation in the mid-1990s, Sheryl Stump (now the Department Chairperson and a Professor of Mathematical Sciences at Ball State University) did some of the best work to date about how we define and conceive of slope. Stump (1999) found seven ways to interpret slope, including: (1) Geometric ratio, such as "rise over run" on a graph; (2) Algebraic ratio, such as "change in y over change in x"; (3) Physical property, referring to steepness; (4) Functional property, referring to the rate of change between two variables; (5) Parametric coefficient, referring to the "m" in the common equation for a line y=mx+b; (6) Trigonometric, as in the tangent of the angle of inclination; and finally (7) a Calculus conception, as in a derivative. If you compare Karim and Sal's definitions to Stump's list, you'll likely judge that while both have been correct, neither have been complete. We could stop here and declare this duel a draw, but to do so would foolishly ignore that there is much more to teaching and learning mathematics than knowing what belongs in a textbook glossary. Indeed, research suggests that a robust understanding of slope requires (a) the versatility of knowing all seven interpretations (although only the first five would be appropriate for a beginning algebra student); (b) the flexibility that comes from understanding the logical connections between the interpretations; and (c) the adaptability of knowing which interpretation best applies to a particular problem. All seven slope interpretations are closely related and together create a cohesive whole. The problem is, it's not immediately obvious why this should be so, especially to a student who is learning about slope. For example, if slope is steepness, then why would we multiply it by x and add the y-intercept to find a y-value (i.e., as in the equation y=mx+b)? And why does "rise over run" give us steepness anyway? Indeed, is "rise over run" even a number? Students with a robust understanding of slope can answer these questions. However, Stump and others have shown that many students -- even those who have memorized definitions and algorithms -- cannot. This returns us to Karim's original point: There exists better mathematics education than what we currently find in the Khan Academy. 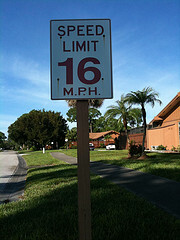 Such an education would teach slope through guided problem solving and be focused on the key concept of rate of change. 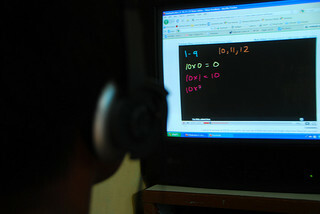 These practices are recommended by researchers and organizations such as the NCTM, and lend credence to Karim's argument for conceptualizing slope primarily as a rate. However, even within this best practice, there is nuance. For instance, researchers have devoted considerable effort to understanding how students construct the concept of rate of change, and they have found, for example, that certain problem contexts elicit this understanding better than others. Despite all we know from research, we should not be surprised that there's still no clear "right way" to teach slope. Mathematics is complicated. Teaching and learning is complicated. We should never think there will ever be a "one-size-fits-all" approach. Instead, educators should learn from research and adapt it to fit their own unique situations. When Karim described teachers on Twitter debating "whether slope should always have units," we see the kind of incremental learning and adapting that moves math education forward. These conversations become difficult when Sal declares in his rebuttal video that "it's actually ridiculous to say that slope always requires units*" and Karim's math to be "very, very, very wrong." We absolutely believe that being correct (when possible) is important, but we need to focus less on trying to win a mathematical debate and focus more on the kinds of thoughtful, challenging, and nuanced conversations that help educators understand a concept well enough to develop better curriculum and pedagogy for their students. This kind of hard work requires careful consideration and an open conversation, even for a seemingly simple concept like slope. We encourage Sal to foster this conversation and build upon what appears to be a growing effort to make Khan Academy better. Doing so will require more than rebuttal videos that re-focus on algorithms and definitions. It will require more than teachers' snarky critiques of such videos. Let's find and encourage more ways to include people with expertise in the practice and theories of teaching mathematics, including everyone from researchers who devote their lives to understanding the nuance in learning to the "Twitter teachers" from Karim's post who engage this research and put it into practice. This is how good curriculum and pedagogy is developed, and it's the sort of work that we hope to see Sal Khan embrace in the future. *Sal's point is that if two quantities are both measured in the same units, then the units "cancel" when the quantities are divided to find slope. As an example, he uses the case of vertical and horizontal distance, both measured in meters. The slope then has units of meters/meters, which "cancel". However, the situation is not so cut and dry, and indeed, has been considered by math educators before. For example, Judith Schwartz (1988) describes how units of lb/lb might still be a meaningful unit. Our point is not to say that one side is correct. Rather, we believe that the act of engaging in and understanding the debate is what is important, and that such a debate is cut short by declarative statements of "the right answer." Schwartz, J. (1988). Intensive quantity and referent transforming arithmetic operations. In J. Heibert & M. J. Behr (Eds. ), Number Concepts and Operations in the Middle Grades (Vol. 2, pp. 41–52). Reston, VA: National Council of Teachers of Mathematics. Persistent misconception: "...we suggest that Khan Academy desperately needs voices of teaching experience. Khan could tap into any number of existing networks..."
Truth: We have four ex-teachers as full-time employees. We have two high school math teachers as consultants. One Harvard Doctoral candidate in Education and one post-doc in neuroscience at Stanford are in residence. One UPenn Professor is also likely to begin a sabbatical with us. We have a 3 person team dedicated to working with and getting feedback from our 50 pilot classrooms and the 15,000 teachers actively using KA in classrooms. Stumps paper seems to be a survey of math teachers ( non university) on their interpretation of slope, not exactly what I would call an expert. Even so, a whole bunch of experts got the Let's make deal problem wrong when posted by Ask Marylyn . Here's where I'm with sal - slope is the change in the dependent variable divided by the change in the independent variable . To state that it is just the rate of change of two variables would be confusing at best, because it would mean that the slope could be dy/dx or dx/dy, which it isn't . Teachers could stand to learn something from mr Khan: he does have 2 degrees from MIT (math and EE) and I'm sure he's pretty well informed on the content . Mistakes, sure. But I've seen plenty of mistakes in class rooms, some correct some not. In any event, I hope none of you folks end up working at NASA or on Medical equipment because if you think slope is simply the change between any two variables you are going to be out of sync with the other engineers and cause a problem. Richard, thanks for your post. You're right, of course: for any two variables, there are two rates of change. In a functional situation, slope is the rate of change of the dependent variable with respect to the independent variable. We were sloppy in our use of language. Furthermore, we agree that "defining" slope as "change in dependent variable divided by change in independent variable" (i.e., the "algebraic ratio") is a perfectly accurate definition. However, in terms of a robust understanding of slope, it's incomplete. It's incomplete because once you've defined slope in this way, you've created a construct that has many sub-constructs, as we listed above. This construct is a powerful problem-solving tool, provided one has a robust understanding of it (which we define above). The problem is that, in general, when students learn slope as a definition or a procedure, they do not construct such a robust understanding. It's possible to do so -- starting from the above definition, one could derive the remaining sub-constructs. It's just that most students don't. On the other hand, when students learn slope as a rate of change from the independent variable to the dependent variable, they are much more likely to be able to construct the other sub-constructs. Our point, then, is not that Sal's definition was incorrect. Rather, we claim that student who come to know slope through Sal's video will have an incomplete understanding of slope. Furthermore, we claim that his pedagogy is not supported by research. The research suggests that students are more likely to develop a robust understanding of slope through carefully designed and sequenced problem-solving activities organized around the key idea of "rate of change", than they are if they memorize definitions and procedures. Richard: I just looked back at the two papers I have from Stump on slope, and although I can't say it's 100% clear, it's my impression that she formed her seven categories of slope after a literature review on the subject, and not just from the teacher surveys. Thanks for seeking some clarification there. 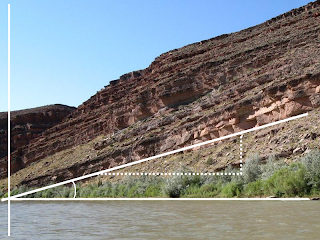 Also, to echo Fred's point, I think we could all imagine certain contexts for slope that don't seem to fit the way we think of rates (and vice-versa), just as there are contexts for slope that don't fit with the ways we think about angle and steepness. It's precisely this kind of misfit that underlies the need for understanding slope in multiple ways and being able to adapt one's thinking to an interpretation that makes the most sense. Fred: we agree then. For say 5th graders, "rise over run" is probably less intimidating than dependent variable over independent variable. Raymond: the definition "functional property" given I've never seen, and would strike out. Me: slope is a functional property. My sister, MIT math major class of 77: Huh? If you define slope as a rate, don't you need to define a rate. My definition of a rate would be the usual definition for slope. Precise definitions often do not give a lot of insight into the thing being defined. Descriptions that give more insight are often ambiguous. You need both. I use the usual gobbedly gook definition for standard deviation, but we spend much more time speaking informally about how to interpret standard deviation values. Thanks for a thoughtful post reminding us all that "knowing" is a rather subjective and personal endeavor. On top of that, to "come to know" in such deep and nuanced ways can only be accomplished by students who are active in meaningful tasks. As I think you have hinted at here, the Khan Academy debate that has been raging recently seems to be nitpicking at rather trivial details and asking entirely the wrong questions about math education.